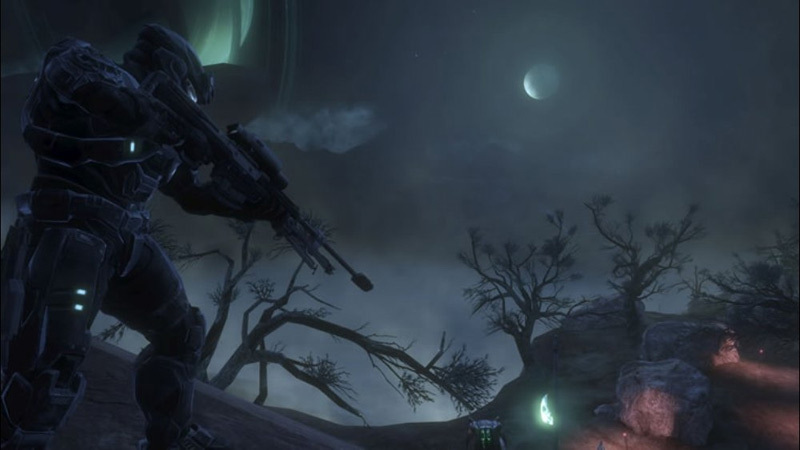 Halo: Reach is the closest thing I've seen to a perfect shooter. Though I've experienced the odd graphical glitch or framerate slowdown, the game's massive amount of content and truly worthwhile campaign mode make this the apex of the Halo franchise, and perhaps the shooting genre too (at least on the Xbox 360). Like we hinted at earlier, however, Reach's campaign is better than ODST's. Not as much as we all had hoped, and not as good as the campaigns in the main Halo trilogy, but definitely an improvement over last year's installment. The story is a bit more meaningful. The characters are a tad more memorable. The scale is a lot more impressive. Most importantly, the levels are longer… you could finish ODST in 5-7 hours. Reach will last you the usual 8-10. Halo: Reach is not only brimming with excellent content, but it's also bursting with possibilities. The exciting campaign, addictive Firefight mode, and dynamic competitive multiplayer make it one of the best shooters around. The extensive customization options, powerful Theater tools, and staggering Forge capabilities make it one of the most malleable and socially engaging games on consoles. And the slick menu system brings it all together with remarkable simplicity. Halo: Reach feels like a wholly appropriate stopping point for the series, filling out some more of the relevant fiction that surrounds the core trilogy while building the multiplayer out in such a way that Halo fans will have something to play until whatever's next is ready for release. While I do feel that the formula has worn thin in a few spots, Reach feels like a love letter from the developer to its fans. If you're one of those fans, you should have this game. Halo: Reach gets two thumbs up from me. I do have some complaints; namely a short campaign (seven hours), cowardly AI Spartans, an undercooked plot, and it's obviously disappointing that Bungie is no longer at the bleeding edge of graphics technology (as it was with Halo and Halo 2) but at the end of the day we've got an absolute treasure trove of gameplay for shooter die-hards. One of my favorite things about Reach is all the customization offered by Firefight. You can't change the environment with Forge in Firefight, but you can tweak every single setting. Halo: Reach is everything a Halo fan has ever dreamed for. All that was lacking from previous Halo games is here and then some. This is Bungie's love letter to their fans and they've definitely gone out with a bang. The gameplay tweaks are many and most hit the mark without sacrificing that Halo feeling. Now four games into the series there's no denying that the campaign is starting to lose some of its moxie, yet there's just enough revelation here for fans to cling to. But let's be honest. You're going to decide to buy based on its multiplayer component and this is where it delivers in spades. Master Chief may be retired, but calling this a Halo game is no reach. There's an art to iteration. ODST could have been a clever little shimmy, but it came out a misstep. Reach brings us right back into the dance that hooked us nine years ago, introduces some cool new steps, and leaves us twirling in enchantment as Bungie graciously bows out. Just keep twirling, Spartan. A likable if cliché ensemble cast and a well-told tale of a hopeless battle against overwhelming odds help make the Halo: Reach campaign Bungie's finest. The gunplay is great and very nicely varied, the new Armor Abilities give you plenty of ways to tackle most encounters, and your foes are as intimidating - and as lethal - as they've ever been. Aside from some minor technical hurdles like occasional slowdown, it looks great, and plays like the best parts of all four Halo games up until now. It's an incredible campaign, and its less bombastic plot and clear-cut story stop it from getting bogged down in the sense of being overworked. Bungie has clearly proven it can step out of Master Chief's gigantic shadow, although I'm not so sure Microsoft will be able to do the same. Anyone following the Halo series for the last decade couldn't ask for a better game, as Bungie has exited its most precious series with one almighty, planet-shattering bang. I called it a monument at the start, and that's just it. Reach is an encore, a victory lap, a crowd-pleasing last hurrah for a series that most definitely won't end here, but will just as definitely never be the same again. Halo deserves another game this good, and Reach is a deserving tribute. Nine years in and on its fifth and final pass Bungie has created the definitive Halo experience, in which refinement is matched by the gentle revolutions of its new features. Armor abilities lend spark to a campaign that already boasts some of the series' finest level design and its most stirring set-pieces, and they help enliven a multiplayer set that's beyond generous. It's a parting gift from Bungie that should keep players entertained through to the next generation; and if any other console shooter can better it in that time it'll be one hell of a feat. The inclusion of Ascension, Firefight and the Elites peg Halo: Reach for what it is: A collage of the best parts of the series, a tribute to ten years of development and its loyal followers. Halo: Reach is unlikely to win over any new fans to the franchise, but when your fanbase is as large as Halo’s, that’s a passing concern. 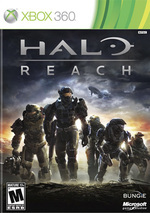 Halo: Reach es, sobretodo, un homenaje a casi diez años de trabajo en una saga que ha redefinido los shooters en primera persona y que se ha convertido por méritos propios en una franquicia que alcanza ese grado de leyenda reservado a muy pocos videojuegos. Sin embargo, uno no puede evitar quedarse con la sensación de que es poco más un collage de sus mejores momentos, en el que se pierde casi por completo el factor sorpresa y sutilmente se aprecia que la fórmula ya alcanzó su momento de esplendor hace unos años, quedándose anclada en el pasado e ignorando en parte la evolución del género. 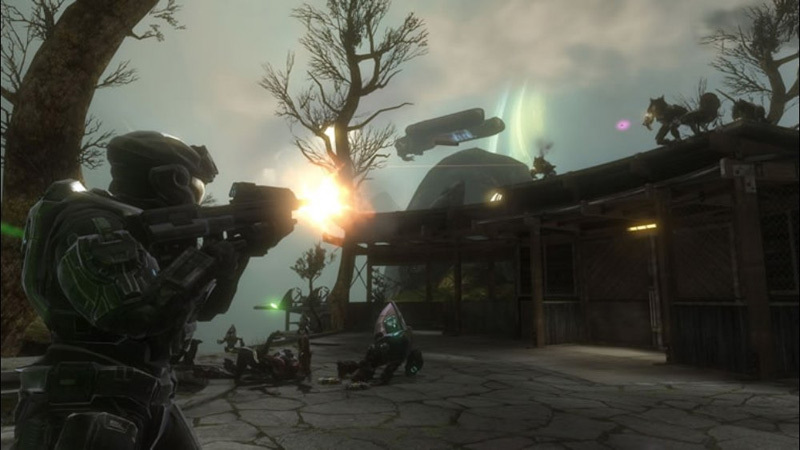 Halo Reach no representa la culminación de una manera de hacer juegos de acción en primera persona. Representa algo más, un paso al frente de en una de las sagas de consola más importante de los últimos tiempos. Bungie se despide en lo más alto, volviendo a marcar el ritmo en muchos puntos y con la sensación del trabajo bien hecho. Todos los elementos de los que se conforma este juego, juntos, lo convierten en una obra maestra. Pocas veces se puede encontrar un juego tan completo como uno de la saga Halo a nivel de contenidos y equilibrio entre todas sus partes. Gran campaña, memorable multijugador y unos apartados técnicos y artísticos sobresalientes son sus principales características. ¿Se puede mejorar? Lógicamente sí, admite margen de mejora, pero podemos en muchos sentidos considerarlo como el Halo definitivo de esta generación, y ningún aficionado a los shooters quedará defraudado con su extraordinaria calidad y abundancia de posibilidades. A part des voix françaises ou des musiques qui auraient pu être plus que simplement bonnes (tant on attend d'excellence à tous niveaux), des nouvelles armes un peu décevantes en solo, Reach signe une campagne sinon surprenante, en tout cas redoutablement plus efficace que jamais, gommant les erreurs de précédents volets. Et côté réalisation, ampleur, diversité, richesse, il impose le respect, tout comme pour son multijoueurs et son interface absolument brillants. 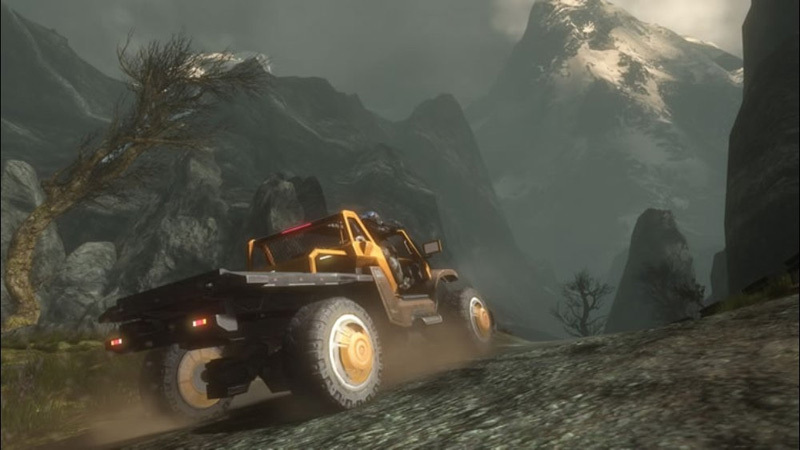 Halo : Reach est tout simplement ce qu'aurait dû être Halo 3 à sa sortie, il y a trois ans. Mieux rythmé que son aîné, un peu plus à la page techniquement aussi, le jeu offre en solo une campagne correcte et sympathique à suivre, bien qu'assez courte et plombée par un game design vieillissant - et l'absence du MC, ça va sans dire. Bien sûr, le multijoueur prolonge les excellentes bases posées par son prédécesseur et promet beaucoup de bon temps, sur le Live ou offline, en coop comme en compétitif. Si le studio Bungie a toujours insisté pour que son dernier bébé réponde au doux nom d'Halo Reach, n'en doutez pas, le titre est bel et bien le Halo 4 que nous attendions tous. Maîtrisé de bout en bout, le jeu fait s'enchaîner les moments de bravoure et nous plonge au coeur d'un conflit futuriste qui n'aura jamais paru aussi épique, cohérent et désespéré. Dernier épisode qui introduit dans le même temps la saga, Halo Reach boucle la boucle dans tous les sens du terme. Faisant partie des meilleurs épisodes, il achève l'ère de Bungie avec une certaine classe malgré des défauts qui trainent dans la série depuis le premier opus. Entre sa campagne agréable à suivre dotée d'une ambiance fataliste et son mode multi exhaustif, Halo Reach diffuse un réel plaisir de jeu. Reach é dramático, emotivo, envolvente, cinematográfico e ficamos satisfeitos com a dureza atirada na dificuldade em heróico. O modo lendário merece os quatro jogadores em rede. Até para Martin O'Donnell a tarefa da banda sonora tornou-se num fascínio; encontrar novas coordenadas musicais, autenticas proposições de ritmo, portas de entrada verdadeiros antros. 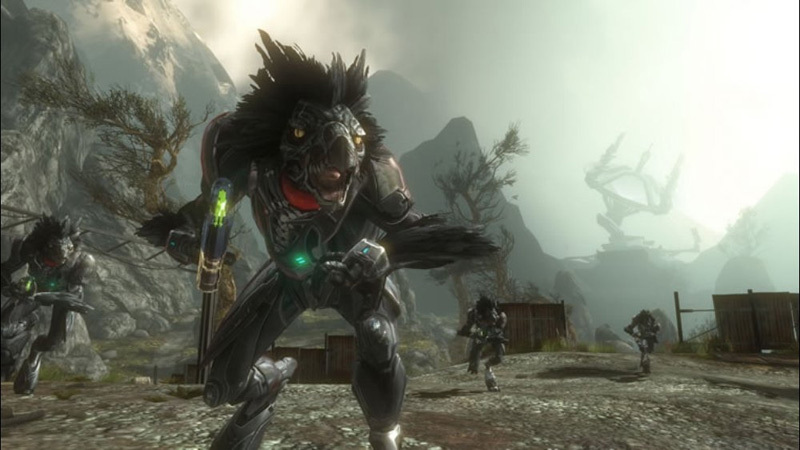 Halo: Reach é um desafio. Halo: Reach, quindi, è la degna chiusura di una saga iniziata nel 2001 e in grado di vendere la bellezza di 34 milioni di copie. Capace di spremere il comparto grafico della Xbox 360 ai suoi limiti, di proporre una campagna in single player di livello cinematografico e di offrire probabilmente il miglior multiplayer disponibile sul mercato, Reach è un gioco che merita di essere preso in considerazione da qualsiasi appassionato di FPS. Halo: Reach è un modo per Bungie per lasciare ai loro fan un saluto che ricorderanno a lungo, raccontando una storia intensa e appassionante con una dedizione per la campagna single player che mancava dai tempi del primo episodio. Non sarà facile, per chi dovrà farsi carico di questa eredità, portare avanti un brand che tanto ha fatto per dare un'identità a un progetto e a una console, soprattutto dopo questo capitolo che riporta in campo un gameplay che ha fatto scuola, ma con una serie di novità in grado di trasmettere. Dit is de meest complete Halo game ooit omdat je wordt overladen met nieuwe wapens, voertuigen en spelmodi. Na negen uurtjes heb je de campaign voor de eerste keer uitgespeeld en kun je aan de slag met de zeer uitgebreide multiplayer modus. De enige minpunten in dit spel zijn de zeldzame connectie problemen en scherm vertragingen. Ook je teamgenoten mochten slimmer handelen maar de geweldig slimme AI van de tegenstanders maakt veel goed. 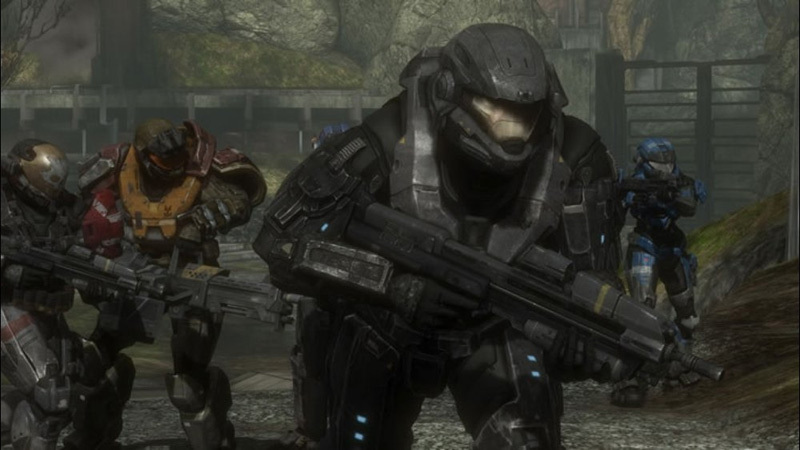 Halo: Reach is zonder twijfel de perfecte afsluiter voor Bungie. Halo: Reach är Bungies avsked från Halo-serien, förmodligen för gott. Och Bungie har velat leverera den bästa, mest omfattande och tyngsta Halo-upplevelsen någonsin som sitt farväl till serien de en gång skapade. Nu tar nystartade 343 Industries över utvecklingen av Halo-serien, men Bungie har lagt ribban så högt att när vi tänker tillbaka på Halo-serien om tio år tror jag planeten Reachs olyckliga öde och de självuppoffrande krigarna i Noble Team vara det som folk minns bäst.